*THIS PRODUCT IS EXCLUDED FROM FREE SHIPPING OFFER. 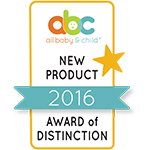 The HALO SnoozyPod® vibrating, all-in-one bedtime soother is the first device to combine soothing sounds and an amber glow night light with gentle vibration to lull infants and toddlers to their best sleep. Designed to fit most cribs, toddler and twin beds, SnoozyPod’s calming vibration, comforting sounds and soft amber glow nightlight create the perfect environment to help your child fall asleep and stay asleep. The nightlight uses a soft amber LED bulb that will not interrupt baby’s circadian rhythm. In addition, SnoozyPod is Bluetooth enabled, so caretakers can activate the functions from anywhere in the home, without encouraging wakefulness by entering baby's room. The soothing sounds can be played for 30-minutes, or set to play all night long to help quiet household noises that may disrupt sleep. The SnoozyPod fits snugly under the mattress leaving a safe, flat, firm surface for your child to comfortably sleep. And most important to HALO’s safe sleep mission, when a baby is happy and comfortable in his crib, he’s most likely to stay in the safest place for him, his own bed. 2 levels of soothing vibration calm babies and children to sleep. Can be set to play for 30 minutes or all-night-long. 4 Comforting sounds: heartbeat, white noise, soothing stream, & rainforest. Soothing sounds play for 30 minutes, or all-night-long. Bluetooth® remote enabled for iOS and Android. Fits slotted and spring bed frames. Not intended to be used with a box spring. Easy to install, just lift the mattress, slide SnoozyPod through crib rails at a 90-degree angle, then lay SnoozyPod flat and run power cord under the mattress. Powered by AC adapter. 4 AA back-up batteries optional (not included). The HALO SnoozyPod™ vibrating, all-in-one bedtime soother is the first device to combine soothing sounds and an amber glow night light with gentle vibration to lull infants and toddlers to their best sleep. Designed to fit most cribs, toddler and twin beds, the SnoozyPod’s calming vibration, comforting sounds and amber glow night light create the perfect environment to help your child fall and stay asleep. We were having a hard time transitioning our daughter from bassinet to crib, but the SnoozyPod completely changed everything…from wake-ups every few hours, to sleeping 10 hours straight! My son always falls asleep right away! We absolutely love the SnoozyPod! We use the white noise & soothing sounds features most often. It’s great for during nap time when there is activity around our home. My son always falls asleep right away. I also love the Bluetooth enabled app! It is so nice to be able to control from your phone. I would definitely recommend this item! Great for transitioning baby to crib. This product is a great help for getting a newborn accustomed to the crib or a toddler transitioned to a toddler bed. The vibration and white noise is the best! This was perfect for the transition from bassinet to crib. It allowed us to continue with the soothing technologies that my daughter was used to. We love that it has bluetooth technology as well. The SnoozyPod saved our lives! Our little one was transitioning from the Bassinest (in our room) to the crib (in his room) at night and was having a hard time. The SnoozyPod let us control the settings from our phone and helped out little guy learn to sleep 12 hours a night on his own! The vibration is perfect for when he wakes up and fusses during the night and we don't have to go in there and wake him up further with lights and noise. I wish we had this when he was learning to nap in his crib, too! I plan to use this when he transitions from his crib to his big boy bed when he is older. I would highly recommend the SnoozyPod if you're having a tough time moving a babe from a bassinet or sleeper to the crib, if your babe wakes in the night and has a tough time falling back to sleep or if your baby is used to/loves sleeping with motion/vibration. I also think it really has helped with our transition to sleeping solely on a crib mattress - and I'll admit to being really worried about that particular change, but it's been painless! A true sleep-saver for my family! My daughter slept in the HALO Bassinest Swivel Sleeper for the first 4 months and we both loved it! I loved that she was so close and she loved the vibration and the white noise. When it came time to think about transitioning her to her crib in her own room I was nervous about how the transition would go. SnoozyPod was a true sleep-saver for my family! My daughter loved that she still had the soothing vibration and white noise that she was accustomed to help her fall asleep. My husband and I loved that it made the transition easier than we thought and we feel great peace of mind knowing she is sleeping in a safe sleep environment each night. Powered by low voltage AC adaptor. 4 AA back-up batteries optional. Batteries not included. Bluetooth remote enabled for iOS and Android. Designed to fit cribs, toddler and twin beds. For use with both slotted and spring bed frames. Not intended to be used with a box spring. *Based on the 2018 SavvyMom Awards – Canada’s Most Trusted Resource for Parents. For more information visit www.savvymoms.ca.